The phenomenal loveteam of Alden Richard and Maine "Yaya Dub" Mendoza which is popularly known now as AlDub dominates most of TV commercials and endorsements today. Even the celebrity clinic of Dr. Vicky Belo was captivated by the charm of this tandem. 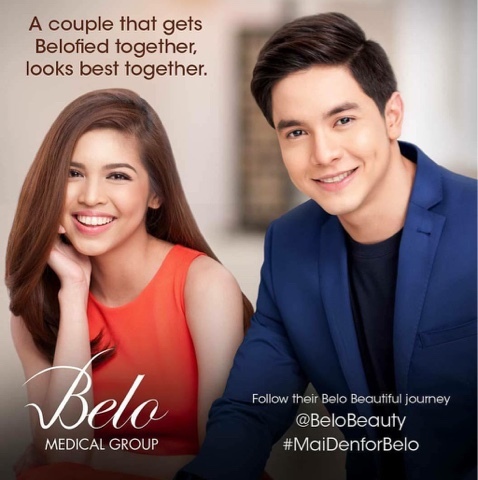 With a caption of "A couple that gets BELOfied together, looks best together," Maine and Alden really looks perfect together in the said huge billboard!